Eugenie Dehorn Bloch was born on February 20, 1853 at Paris, France. She was a daughter of the noble house of DeHorn of Belgium. She was a direct descendent of Count DeHorn who helped the city of Brussels. When Eugenie was a teenager, she lived through the Prussian War at Paris during the Commune of 1870-71. She defended her home and life against the Welch along with serving in the Red Cross. While in France, Eugenie was the head of the French Red Cross Society along with a member of the Legion of Honor. Eugenie was a strong advocate for women’s rights and wrote many articles on this subject. In 1884, as a representative of the French Red Cross Society and commissioned by the President of France to confer with Clara Barton, the head of the United States’ Red Cross, Eugenie came to the United States. Eugenie’s last name was Halbout when she came to the United States. Mr. Halbout was the French Council at Philadelphia. While helping with the Red Cross during the Johnstown Flood in Pennsylvania during 1889, Eugenie lost her eyesight partially. Her eyesight was almost entirely lost eventually. While living in Philadelphia, Eugenie was also a professor. Her address in Philadelphia was no. 1230 Arch Street. Mr. Halbout passed away in about 1887 at Paris, France and Eugenie married Huguier Victor Cleophas on February 19, 1891 in Philadelphia. 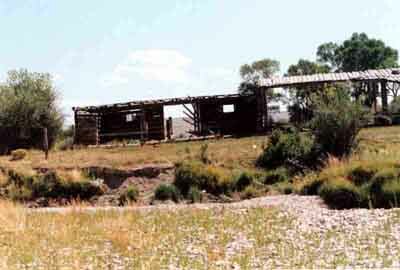 Shortly thereafter, Mr. and Mrs. Cleophas settled at the mouth of Cottonwood on the Green River where Mr. Cleophas had a trading post and later a post office was put in the log cabin. 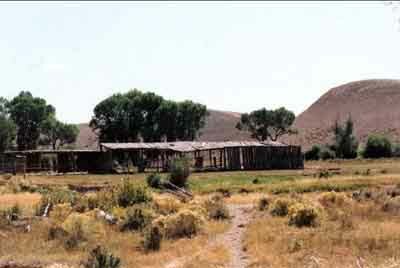 The post office was named Cleo, Wyoming and part of the time it was Richards, Wyoming. It was established on August 28, 1894 and was discontinued on December 29, 1899 when the mail was sent to Big Piney. Huguier V. Cleophas was the postmaster starting on August 28, 1894. Frank D. Ball became the postmaster on August 15, 1898, while Eugenie Cleophas became the postmistress on July 11, 1899. Mr. Cleophas had been in the Green River valley as a hunter in earlier years. 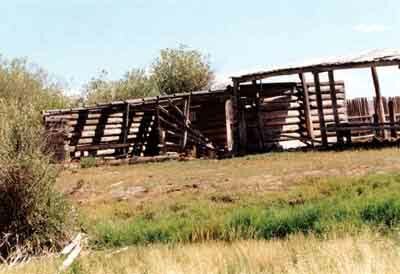 He built a cabin by Tarter Island south of Big Piney which the Tarters moved into in 1889. 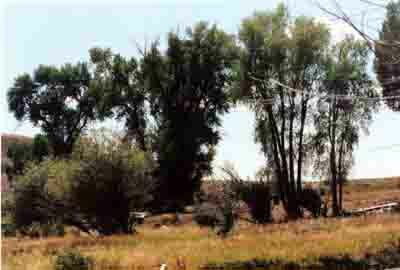 Huguier V. Cleophas filed on the first water right out of Cottonwood Creek during September 1888 for 53 acres. 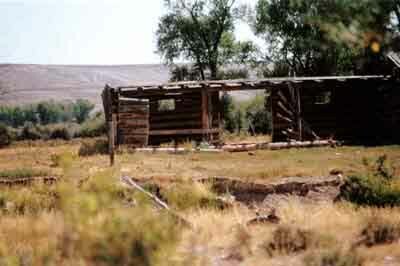 He filed his homestead for 160 acres on July 12, 1899, and it was approved on August 12, 1901. Eugenie filed on 320 acres in 1899, and this was approved on June 8, 1906. She also filed on water rights for 256 acres on August 31, 1899. While living in Wyoming, Eugenie was the vice-president of the Women’s National Press Association for Wyoming. She worked on laws to benefit the people. Several articles written by Eugenie were published in the Cheyenne Tribune. 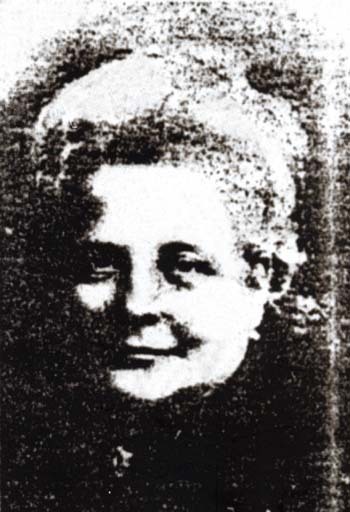 Eugenie DeHorn Bloch Halbout Cleophas passed away on March 22, 1914. Mr. Cleophas took Eugenie’s furniture to the San Francisco Panama Exposition a year later. He took four pieces of furniture which had been made at the time of Louis the Fifteenth and had been passed down for generations. There were tables, chests, several pieces of pottery and a picture. The pottery had the date of 1558 inscribed on it. The furniture’s base or main portion was made of dark wood into which figures of birds and flowers and other designs were inlaid with light-colored woods. Mr. Cleophas, who was born on February 18, 1841 in France, sold the ranch on Cottonwood Creek to Gull Whitman in June of 1915. He moved to California.